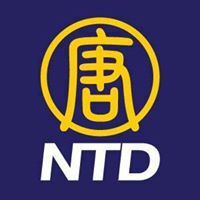 News TV Channel / NTD was founded in 2001 as an independent Chinese news media, with its mission being to offer "uncensored news" about China that state-controlled media would not cover. The station has a regular focus on the promotion of traditional Chinese culture, and devotes extensive news coverage to Chinese human rights issues. It takes a critical stance on what it claims are abuses of power by the Communist Party of China. New Tang Dynasty Television is a television broadcaster based in New York City with correspondents in over 70 cities worldwide. The station was founded in 2001 by Falun Gong practitioners as a Chinese-language broadcaster, but has since expanded its language offerings. The company retains a focus on China in its news broadcasts, and frequently covers topics that are censored in Mainland China, such as human rights. Its self-proclaimed mission is to "promote uncensored information on China; to restore and promote traditional Chinese culture; and to facilitate mutual understanding between the East and West".